patchtax is a viola/saxophone duo based in Boston who explore unconventional performance practices within the realm of classical chamber music. SMO presents Andrew Waggoner’s Concerto for Piano featuring soloist Gloria Cheng along with works by Wolfgang Rihm & Vykintas Baltakas. Korean-American composer, vocalist, and multi-instrumentalist Bora Yoon presents audiovisual storytelling through music, movement and sound. Composers, performers, & audience gather in a casual setting that allows for experimentation & discussion of finished works & works in progress. Svend Rønning premieres a violin concerto by Jerry Kracht. Also on the program: Copland’s Appalachian Spring. The Garfield High School Jazz Band & singer Grace Love join SSO in celebrating Quincy Jones & Ernestine Anderson with a world premiere by Kenji Bunch. Seattle’s Inverted Space Ensemble presents two continuous sets of music from Anthony Braxton and Morton Feldman. Art leaves the gallery and becomes an interactive and musical experience led by artists from Gage Academy and the Skyros Quartet. Joined by pianist Fabio Bidini, Imani Winds presents a program of Piazzolla, D’Rivera, Mozart, Valerie Coleman (Imani Winds flutist), and more! The Cuong Vu Trio collaborates with UW faculty composers Richard Karpen and Juan Pampin and Vietnamese master musician Nguyễn Thanh Thủy (Six Tones Ensemble). Music & lectures written and influenced by John Cage. Dance inspired by Cage & Cunningham. Live art inspired by the I Ching & chance operations. Saxophonist Amy Dickson presents her transcription of Philip Glass’ Violin Concerto No.1. Barber, Copland, and Bernstein round out this all-American program. A program exploring the great chamber music of the past AND present composed by former SCCS Artistic Directors William Doppmann & Jerry Kracht. UW composers Josh Archibald-Seiffer & Ania Stachurska present works with themes spanning political civil war, children’s lit, language, & the uncanny. A celebration of Babbitt’s centenary featuring his entire catalog of a cappella choruses, several of which have never been performed in live concert. Donald K. Miller leads the SWS in a program of Donald Grantham, William Schuman, Eric Whitacre, Ron Nelson, and more. SRO celebrates the man, the myth, the legend: Neil Diamond. SRO will explore his entire catalogue, performing hidden gems and revered hits alike. 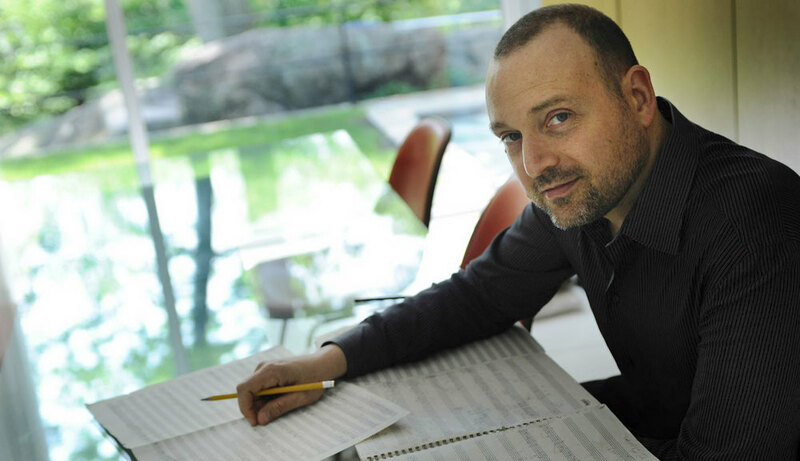 A double-header concert featuring two commissions from Seattle composers Kevin Baldwin and Takemitsu prize-winner Yigit Kolat. Seattle Symphony: Sonic Evolution: This is Indie! This concert features Michael Gordon, William Brittle, Tomoko Mukaiyama, Fly Moon Royalty & Filmmaker Bill Morrison. Co-Presented With SIFF. An interactive event featuring visual artist Scott Kolbo and iconoclast band TORCH. KCS premieres a commission from Ola Gjeilo plus many Gjeilo favorites from previous concerts and will be joined by the Skyros Quartet. Seattle Met. Chamber Orchestra welcomes Cristina Valdes, Matthew Kocmieroski & Maria Mannisto – 3 soloists in high demand for contemporary music! This two-act opera and portrait of survival conveys the vastness of the Holocaust’s scope through emotionally rich depictions of those caught in its grasp. Joshua Roman, Arnaud Sussman, Karen Gomyo, & Kyle Armbrust will perform Britten’s String Quartet No. 2 and a commissioned piece by Andrius Zlabys. Join us for Second Inversion’s 2nd annual showcase at Northwest Folklife! We’ll feature bi-coastal musicians and local favorites alike.